Petres beach (i.e. Stones) is located 13km west of Rethymno town. It is named after the imposing Petres Gorge. The sandy beach with the rock formations in the sea, is just off the road between Rethymno and Georgioupolis, under the Petres bridge and is preferred mostly by locals. Umbrellas and sunbeds, showers, lifeguard, changing rooms, diving center, cafe, snack, restaurants, tavernas, accommodation. The rocky seabed is ideal for fishing and snorkeling. As all northern beaches, Petres is open to the winds and as a result the sea is mostly wavy. 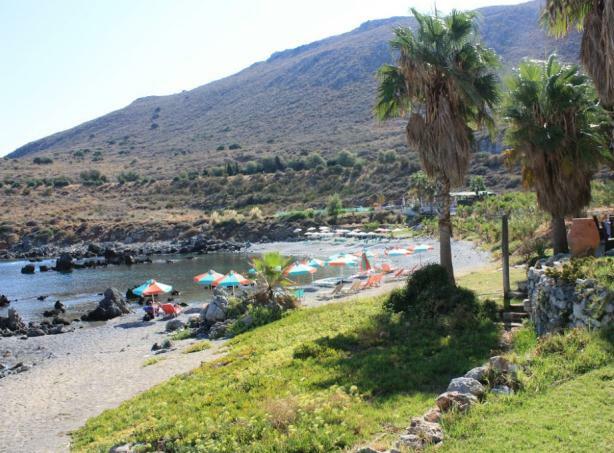 You can reach Petres beach by frequent public buses from Rethymno and Chania.